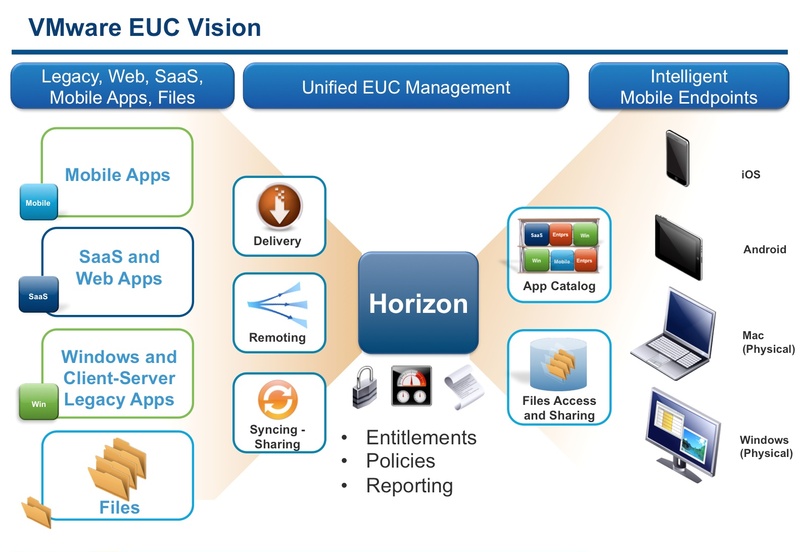 Last year at VMworld we unveiled VMware vision for modern end user computing. You can check out our vision here and see the VMworld demo here. Since then, we have been heads down executing against that vision gaining momentum with VMware View 5.0 which continues to show great market momentum and most importantly great public Customer deployments as well as working hard on building out the rest of the EUC portfolio. Last week, I had the pleasure to demo what we are working on to infoWorld. I even let them drive the demo themselves… ah!!!! Code rules!!! Also, one of our reference customers, Foley & Lardner was featured in a Wall Street Journal as a example in production of ho to enable BYOD today with VMware View. Also, TechTarget caught us with our hands in the… Apple app store… uploading the project Octopus client. Here is the summary of this coverage. ← I Am Hiring and I Need you!! !